On the second anniversary of the Panama Papers tax scandal, the European coalition of development and environmental non-governmental organisations, Counter Balance, urged the European Investment Bank (EIB) to develop a comprehensive and responsible taxation policy. To back its claim, Counter Balance published a report on Tuesday (3 April) that contains recommendations which – if implemented, the organisation argued – would allow the EIB to take the lead in responsible taxation. “Given its central macroeconomic role and its nature of ‘EU body’ and public institution, it is all the more important that the EIB‘s publicly-backed investments and business do not feed the cycle of aggressive tax planning by multinationals but rather grasp the opportunity to push for a new standard of improved transparency and tax-responsible practices. “An essential step in this direction would be to require Country by Country reporting to all its business clients,“ said Xavier Sol, the director of Counter Balance. “A responsible taxation policy at the EIB could create a leverage effect on other International Financial Institutions (IFIs) and inspire them to move in that direction. The EU’s bank shouldn’t miss this opportunity“, he added. The EIB supports infrastructure projects, as well as health and environmental initiatives and support of small businesses, across the EU. On 15 March, it announced €8 billion of new financing for 34 projects in the European Union, Africa, Asia and Latin America. In 2016, it spent €80 billion, making it the largest multilateral lender globally. In 2015, the coalition of NGOs published its first report, where it documented several cases of EIB funds granted to beneficiaries that allegedly used tax havens to increase their profits or to embezzle proceeds from corruption. A second report followed in 2016, in which Counter Balance described how the EIB supported private equity funds incorporated in tax havens and problematic jurisdictions. This report also stressed what the coalition described as the systematic lack of transparency of these types of operations, both from the EIB and the investment fund’s side. “Such practices have a harmful impact on the resources at the disposal of national governments to guarantee essential public services and an efficient functioning of our economies,” Counter Balance wrote in its report. The report published the EIB’s answer to the NGO’s allegations. The bank pointed out that in a number of places, the Counter Balance paper makes incorrect or misleading statements, or references to other sources, which are incorrect. “The EIB promotes sound eligible projects on the basis of its public policy missions, not financial intermediaries or project companies. “It is, therefore, crucial to distinguish between tax regimes directly applicable to projects financed by the EIB, on the one hand, and tax regimes applicable to more remote entities upstream the ownership structure, detached from the projects financed by the Bank and with separate governance systems, on the other hand,” it also underlined. The lender added that the approach to tax good governance at the EIB should, therefore, be commensurate. “An overly cautious approach to tax optimisation schemes (tax avoidance) can have the unintended consequences of excluding eligible and sound projects from ElB’s financing and precluding needed investments”. Therefore, following the approach of the Anti-Money Laundering Directive and Financial Action Task Force recommendations (both address serious crimes, including tax crimes), it is important to recognise the risk-sensitive approach as a central element to implement tax good governance measures, including tax avoidance checks by the Bank, it specified. The Counter Balance’s report lists numerous tax scandals that came to light in the past years, one of the most prominent being the Panama Papers. The name refers to the unprecedented leak of 11.5 million files from Panama-based law firm Mossack Fonseca. They exposed offshore companies used to avoid tax and has embroiled public figures like Vladimir Putin, Ukrainian President Petro Poroshenko, David Cameron, Icelandic Prime Minister Sigmundur Davíð Gunnlaugsson, and Climate Commissioner Miguel Arias Cañete. 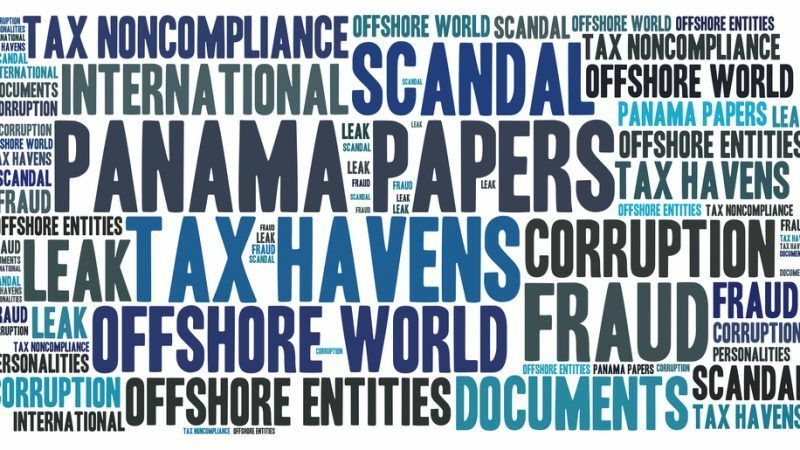 The Panama Papers belongs to the recent flurry of exposed tax scandals: Luxleaks (November 2014), Swissleaks (February 2015), Bahamas leaks (September 2016) or the Paradise Papers (November 2017). 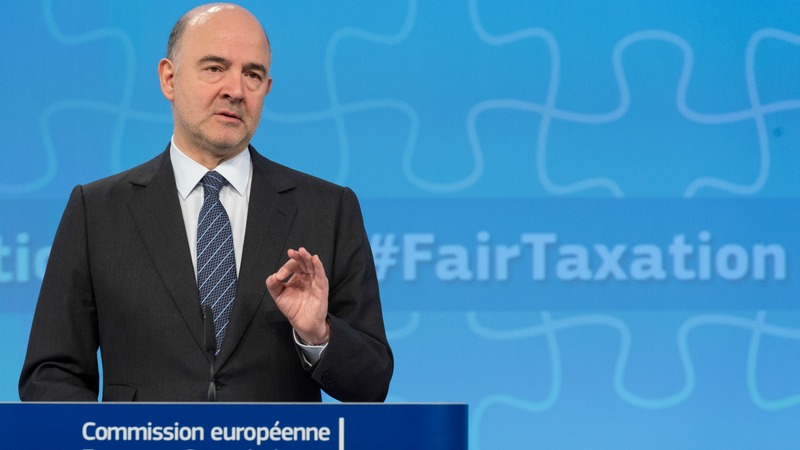 The Panama Papers scandal has put political pressure on the European Commission to toughen its tax laws, and in particular for multinational companies, EU Economic and Financial Affairs Commissioner Pierre Moscovici has said. Counter Balance recalled that these numerous tax scandals have translated into a strong push by the Commission to investigate tax agreements between national governments and multinational companies to assess their compliance with European state aid rules. A set of initiatives has been undertaken in order to ensure fairer competition between European member states and avoid a race to the bottom on taxation. On 21 March 2018, the Commission published the “New requirements against tax avoidance in EU legislation governing in particular financing and investment operations” where the EIB’s role was singled out. The paper details sanctions linked to the EU “black” and “grey” lists of tax havens and calls on the bank to review its taxation policy in order to guarantee that EU external development and investment funds cannot be channelled or transited through entities in countries on the EU blacklist. “Certain companies exploit loopholes and mismatches between member states’ defensive measures to shift profits out of the Single Market, untaxed. In addition, businesses face legal uncertainty and unnecessary administrative burdens, due to 28 different national policies for assessing and addressing third countries’ tax systems”, the Commission said. A coordinated EU external strategy on tax good governance is therefore essential to boost member states’ collective success in tackling tax avoidance, ensure effective taxation and create a clear and stable environment for businesses in the Single Market, it specified. “In this regard, the EU is playing a leading role,” Counter Balance pointed out, adding that it should therefore “ensure that its own financial arm – the EIB – also plays a leading role in the field of fair taxation”.